Let’s be honest, the sun feels great although sometimes it gets a bad rap for only having negative effects on our health. Despite your family member asking “are you wearing enough sunscreen” it has many positive effects for our health, vitamin D is extremely important. Here are some great causes you can thank the big Sun in the sky for! Sunlight’s best benefit is how it naturally boosts the body’s Vitamin D intake (by just absorbing 10-20 minutes of sun rays per day!) Be careful to obviously never look directly into, or around the sun. This could be very harmful to your cataract (the clouding in the eye’s lens will obscure a person’s vision.) Most of the UV light from the sun enters the eye via our lenses. The sun is so strong that ultraviolet radiation from the sun can irritate or potentially burn the eye’s lens. 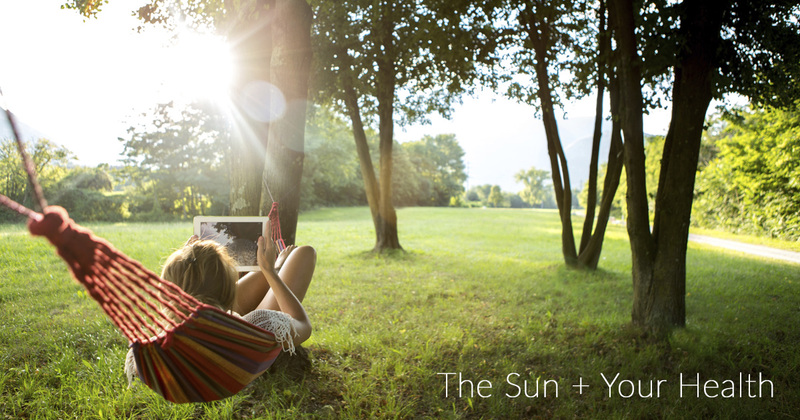 Albeit it hard to believe, sunlight has drastic effects on our natural sleeping patterns. Makes sense right? We sleep at night, and rise during the day. Our circadian rhythm is a 24-hour clock based on the sun’s light and darkness, which helps influence out sleep cycles. It’s true, the sun does in fact, cause wrinkles. So even though it’s important to soak up some rays daily, it’s all in moderation and nothing excessive. You’ll know you’ve had enough sun when you feel your skin getting hot, or by pressing down on your skin and seeing red appear slowly then disappearing. There are some remedies for wrinkles, like eating healthy, not excessively sun-bathing, and using moisturizers daily.